We offer a comprehensive range of audio and video accessories including, TV cabinets, audio stands, TV mounts, monitor mounts, DVD shelves, televisions, speaker stands, sound bars and much more. Have You Met the New Smart TVs Around the Block? Look at any TV advertisement today and it’s all about flaunting the ‘Smart TV’. Most of us won’t remember when this new model entered into the market and took it by storm. Being made to attend to the new appetite of evolving audiences, the Smart TV particularly is more than just android-friendly. It is characterized by its ability to connect to the internet and other streaming channels like Amazon Prime, Netflix, etc. And it is exactly these features that keep viewers glued to the television and use it for more just watching whatever is on cable. In fact, they even use it for gaming, playing content straight from their phones or data storage devices. On account of their ability to be connected to the internet, Smart models present a range of activities that you can use it for. They are also further bifurcated on the basis of different kind of features. These are classified as per the price range slabs and needless to say the possibilities of what a Smart Tv can do are endless. What initially started off with syncing to other devices and basic internet connection gradually moved to being game-friendly and now can connect to voice assistants (Alexa, Google Assistant) as well as work with smart home ecosystems. So really the Smart TV today functions more like a lifestyle enhancer. Does That Mean the Traditional TV Ceases to Exist? Not all home-owners are opting for Smart TVs. In fact, for many people who have a budget-constraint, the older television models are their only option. Plus, with technology such as Google chromecast and Amazon Fire Stick, etc. the features of the traditional television can easily be upgraded to provide smart features. This model was the brainchild of Google and the successor of what we know as Google TV. Created out of the will to enter the Smart TV operating system market, many home-owners have quickly taken to this model. The Android model has an advantage of being able to be integrated on a set-top box device as well as within the TV’s hardware. Its interface is row-based, giving it a neat and user-friendly appearance. And it also includes ‘content discovery’ features that you allow you to browse and select what you would like to watch. Additionally, it has voice input and universal search too across a number of services, which means you get to enjoy the beauty of a thorough search in the most convenient way. Which is the Best Brand for an Android Smart TV? 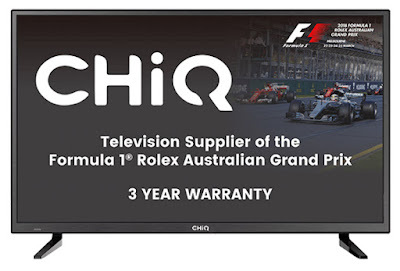 Within Australia, TCL and Chiq are both reliable and good brands to purchase from. With a strong brand lineage in place, they offer a great viewing experience and optimum quality features which makes them an investment that you will make good use of. Finally, ensure you get a good idea of all your options before you actually make a purchase. This will help you understand which Smart model is the one best suited to your needs. Also, ensure you enquire from and purchase from a vendor who has a good variety and also has accessories or mounts or whatever you may need to accompany your purchase. And most importantly, don’t forget to check that it comes with a warranty. This is will you the assurance that you are making a smart purchase and will ensure a smoother user experience in the future. About the Author: Steven Lam is the owner of Gecko Products, Australia. 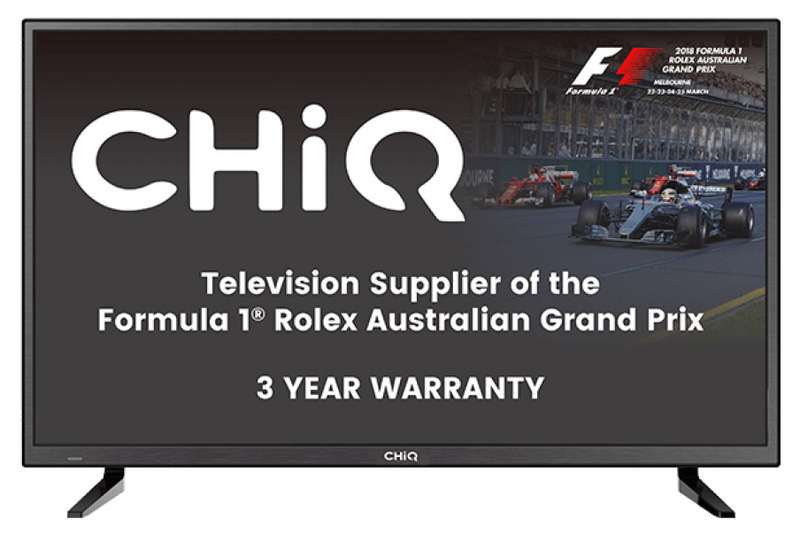 They have a variety of models of Chiq and TCL TV Australia, monitor mounts, and accessories to match different price ranges and features. Mounting your TV on the Wall Should Undoubtedly be your Choice. Here’s why! Getting your TCL smart Android TV fixed to your wall is a new trend that is easy, smart and a better option. A lot of people second guess this because of common questions like “isn’t it too dangerous” or “what if it falls?” but this is easily answered once they observe the way it is installed and how helpful it really is. Here are a few reasons why mounting your TCL smart Android product on your wall will do well for you. We all know how annoying it is when we are engrossed in watching a movie and the glare from the window keeps reflecting on your screen. Not only does it keep distracting you, you land up missing the climax! And that’s something nobody wants to go through. 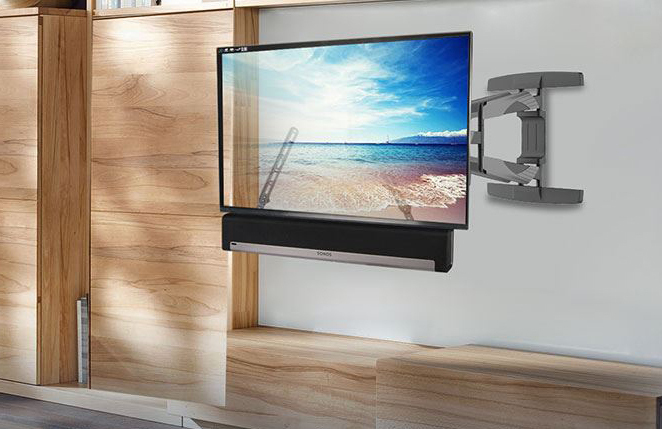 Having your TCL smart Android TV mounted on your wall allows you to tilt and position it in a way where you can escape the reflection. You can adjust the angle according to the change in light throughout your day. It is also useful when you are cooking in the kitchen but still want to keep an eye on your show simultaneously. All you’ve got to do is just position it in a way where you can see it clearly and voila, you’re good to go! If you look at a TV in a cabinet or on a table with other random objects near it you notice that it looks too cluttered, messy and doesn’t compliment your house at all. On the other hand, seeing it against a wall with textures and designs not only enhances the features of the house but makes it look modern, classy and compliments the sleek black finish. 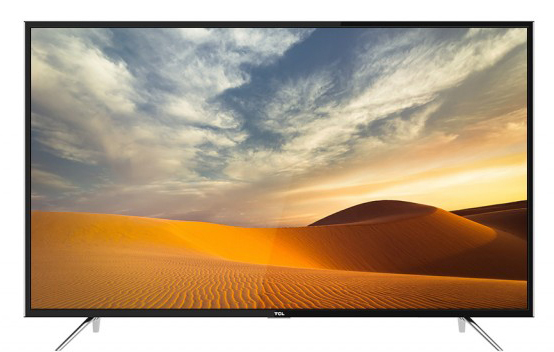 In other words, having your TCL TV mounted on your wall will compliment your wall and make it look less cluttered. Not to mention it may even work out to be the better way to connect the sound system. Fixing your TCL smart Android TV on your wall will not only make your house seem less cluttered but will also increase the space in your house. Now that it is on your wall you can get rid of that cabinet/ table which was taking up extra space in your house. If you have children or pets in your house having your TCL Android smart TV on the wall will be a smart decision. It will be out of their reach and you will not have to worry about someone dropping down the TV. Not to mention how it will save on the damage of repairing your TV or having to buy a new one. The installation process can be broken down into 3 easy steps. That is really all you have to do! Although to attach these you will need certain tools but if you don’t feel confident enough you can call for a trained specialist to help you install it. 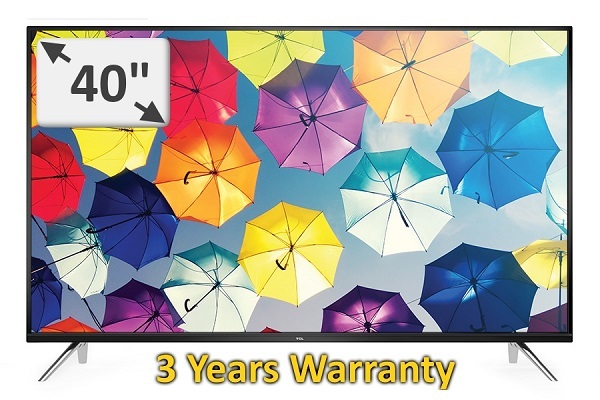 Getting your TCL Android flat screen TV mounted on your wall doesn’t cost you much; the starting price is approximately $25. If you wish to mount add-ons like your sound system, it will cost you a bit more. There is also a feature that allows you to hide your cables which doesn’t require drilling. The TCL smart Android TV was designed to be mounted on the wall. It is filled with many features and is best used if you mount it on the wall so really this decision will help you enjoy it to the fullest. It will allow your sound to be more clear and loud. You also have the liberty to tilt your TV in any angle so that you can watch your show no matter which part of the room you are in. Basically, it’s a whole new world of benefits and you gain access to it with a simple choice to say yes. Steven Lam heads Gecko Products a premium-quality and experienced dealer in ceiling mount tv brackets, monitor mounts, and tv brackets. What are the Trademarks of a Smart TV? Gone are the days when a TV was just compared to being an idiot box, an entertainment medium that only made its viewers engage with it through one-way communication. Today, TVs like those of the TCL brand are known to be called smart TV's. Majority of home owners are opting for this modern technology entertainment device for several reasons. You definitely would know somebody within your family or friend circle who owns a CHiQ smart TV or a TCL smart TV. And why not? Why should people abstain from embracing this new technology? To understand why these have become extremely preferred amongst people world-over it is essential to note down the key features that set a smart TV like that of the TCL brand aside from the traditional TV. Previously, televisions were known for only one feature, that is, to play out your favorite movies and shows. However, today they have become so much more. Today you, as a consumer, have control or rather are given control over what you view on this medium. Whether you choose to insert a USB and play out a movie/show of your choice or rather stream it directly from your phone-the possibilities are vast. Apart from that, you even have the option of browsing through the Internet and allowing your screen to double as the monitor. And that's not all; let's talk about the energy-saving feature on these new and advanced models. Yes, you can actually control the energy your model is consuming in order to save on your electricity bills! All you’ve got to do is merely switch to energy saving mode wherein the TCL smart TV switches to a dimmer light mode and hence, consumes less energy. Oh and might we add, a screen that is not glaring with brightness is also easy on the eyes, so why not? 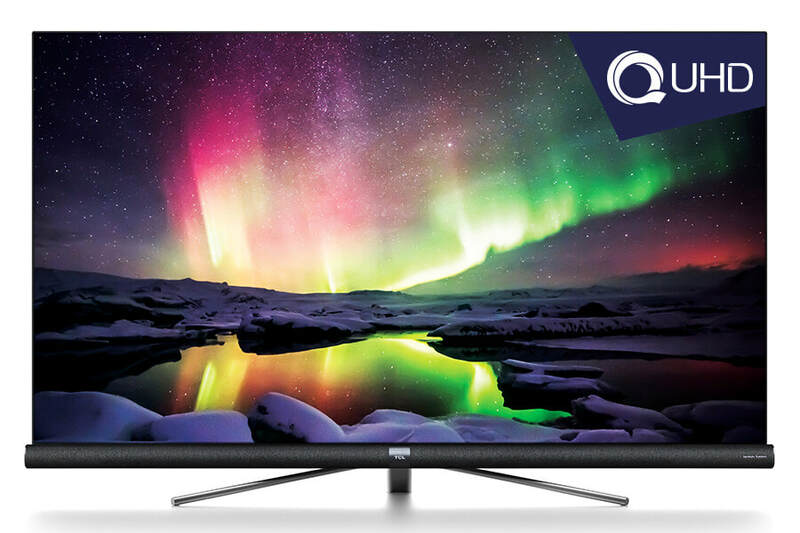 Another extremely unique feature of CHiQ/TCL smart TV is where you can project the onscreen lighting to have it appear on the wall behind, thus, creating a rather theatrical experience within the comfort of your home. Technology has evolved so much today that you don't require a remote control to operate your TCL smart TV. Oh yes, use your voice, hand gestures, or maybe even the app on your cell phone to be able to make the necessary adjustments, or switch between channels on your TCL smart TV. You know what this means? When you do feel like being in your couch potato mode, you don't have to actually haul yourself up from the sofa and go hunt for the remote! Today several leading companies are constantly evolving televisions to become smarter and offer a viewing experience that viewers do not expect out of a regular looking television. They are constantly programming it with technology so that it can outdo every limitation previously possessed. In order to add on the convenience factor and the entertainment factor, today, smart televisions come along with a set of accessories like 3-D glasses, etc. that may be made available free of cost or for which you will have to pay a small sum. Oh yeah, initially televisions could easily be recognized as a result of their bulky box-like similarity. However, today innovation and technology have brought down the thickness of a smart television screen to being nearly invisible to the human eye. Not only does this make the unit portable, light in weight, and chic looking, but also enables it to blend in easily with the interiors of your home. Many home owners who have chosen a more modern, classic, artistic interior theme find smart televisions to be perfectly sized. Apart from that, smart televisions also work superbly well for small spaces or in rooms where you want to save on the floor space and instead have the television wall-mounted. a) Time-shifting - What is this magic feature really enables you to do is to be able to play out the role of a Time-Lord as you pause, play, fast forward, stop or even rewind a program/show that you may be watching. The surprising part is that you can do this all in real time! Yes, now you don't have to worry about missing out on the important details in case you need to get up to answer the doorbell, or a phone call, or tend to some other responsibility. This luxury allows you to extract the most out of your viewing experience and enjoy your show to the fullest. Worried about missing out on the important details in case you need to get up to answer the doorbell, or a phone call, or some responsibility? This luxury allows you to extract the most out of your viewing experience and enjoy your show to the fullest. b) Record your shows - Have you ever been in a situation where you missed out on your favorite game or much-awaited episode only because something unexpected cropped up? Well, that never has to be the case from now on! With the instant recording feature on a smart television, you can merely click a button and have the entire show recorded for you so that you can view it at a time that is most suitable for you. 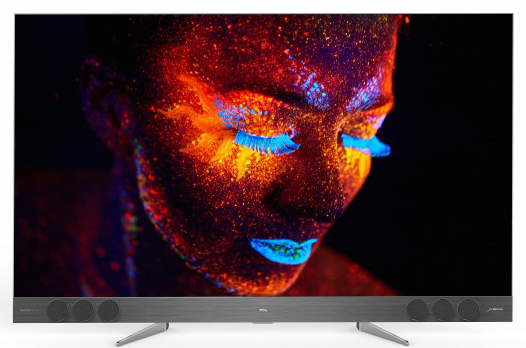 Televisions were initially created for simple entertainment purposes however, with the advent of TCL and CHiQ TV is making use of high technology to offer an enhanced onscreen experience, modern viewers can expect a lot more out of this entertainment medium. If you are planning to ditch your traditional model, for a new one or even planning to upgrade your current model the market is full of options. However, do remember to make the purchase from a reliable source and trusted professionals who will guarantee the authenticity of the brand you purchase and maybe even the warranty or guarantee you are entitled to along with installation and repair services. 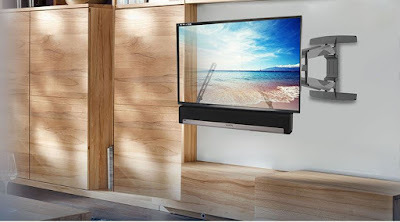 About the Author: Stephen Lam heads Gecko TV Stands and Mounts, located in Australia, known to be reliable dealers in CHiQ TV and Android Smart TVs. The options of TV cabinets available while shopping for one can leave you bewildered. He amount of designs and materials are abundant in variety. While shopping for a TV cabinet it is also necessary to make sure that the TV cabinet you are choosing will complement the existing furniture and decor of the room that you intend to purchase it for. Every home owner’s number one priority while shopping for a TV cabinet is to ensure that the cabinet they select will blend well with the rooms existing furniture. TV cabinets are an alternative to TV mounts and stands and provide a resting place for not just your TV but its accessories too! The most common options available to choose from are those made from either wood or metal. Few cabinets are crafted for the function of being the rooms centre piece while others are meant to just blend in with the rest of the furniture making it less obvious by either being placed into a corner or in a way that attracts less attention. TV cabinet options are so many that whatever the size, style or design you are looking for there is something pertaining to your liking. While shopping for a TV cabinet and finalising a piece for purchase there are several factors to be taken under consideration like the materials used for building the cabinet along with the design. Sometimes a traditional cabinet might be more suitable than a contemporary one based on the rooms layout and décor. The first decision to make for any home owner is whether they need a wall unit or a corner one for their TV. A few TV cabinets come with the option of being able to remain open which is a pretty good option for those home owners that intend to make their TV cabinet centre piece. It is advisable t first explore every option available of a TV cabinet before finalising the purchase of any specific one. Customers have a wide range of TV cabinet materials to choose from while shopping for a TV cabinet. Opting for a glass TV cabinet usually comes with the option of being able to select between a smoke glass and a clear glass TV cabinet. Smoked glasses in TV cabinets are usually preferred by customers who intend to buy a TV cabinet that is blackish in colour or appearance. Metal and glass are a sturdier option often used in tandem, and such cabinets can still allow the user to look inside the cabinet without much of a hassle. Metal and glass cabinets use the metal material to build sturdy and durable legs for the cabinet while the glass material of the cabinet is used for shelving. Glass and wood cabinets are usually similar to the pattern or design of those of metal and glass. The door panels of such cabinets are made out of glass while the legs of the cabinet are crafter out of wood. There is quite a variety of designs to choose from thereby granting a customer with more than ample choices to choose from. For those customer that intend to purchase a cabinet built completely from wood and only wood have a wide range of wood options to choose from such as beech, walnut, ash and pine cabinets. This grants a home owner the option of selecting the type of wood that blends in or suits the remaining house décor. One should be cautious while selecting a wood cabinet as some cabinets are built from solid wood while others make use of wooden veneers. It is crucially essential to select the ideal option that works best from the wide range of offered options. Considering and planning how the TV cabinet will fit into the room along with its décor is essential and having the TV cabinet suit or compliment the other existing furniture is an important part of the process. If all the options of TV cabinets were to be divided into two categories, the resulting categories would be that of traditional and contemporary styles. A maximum number of TV cabinets that fall under the traditional category are crafted from wood. Customers that have existing furniture that has more of a traditional feel about it usually tend to opt for traditional TV cabinets to compliment their home décor. If the customer’s home decor is more on the sleek and modern edge the customer tends to opt for a contemporary TV cabinet. The variety of designs is abundant in TV cabinets; however it is important to carefully consider each design before making a choice. Not only does the buyer need to know if a wall unit or a corner unit is a better option but also knowing where the cabinet will be placed before purchasing it is eaqually important. Knowing where and how a TV cabinet will be placed in the room is an essential step to complete before purchasing it. For those home owners that wish to make their TV cabinet a centre piece a wall unit is the best choice to suit their purpose, while those that wish for their TV cabinet to subtly blend in with the rest of their home décor can select a corner piece that does not attract too much of attention. Open cabinets are the ideal choice for houses that follow a contemporary décor scheme while closed cabinets are the perfect choice for those that own DVD and video game systems which need their many wires to be hidden for a neater look. Closed cabinets have doors that can be closed when they are not in use and can be kept closed. The shelving, doors and drawer features of a TV cabinet are directly dependant of the needs of the consumer and must be considered before purchase. For e.g. a consumer that expects storage space from a cabinet must select one that possesses the same features as their requirement. There is also the option of choosing a readymade cabinet or one that has been already assembled for those that are not too handy with such tasks. The dimensions of the TV cabinet play a very important role and a TV cabinet must be purchased only after being certain about the size and dimensions of the same to ensure it suits the TV set. There is a lot for a consumer to consider before making a purchase of a TV cabinet which means that a proper research must be done before making a selection from the wide range of designs available in the market today. It is a good idea to compare contrast brands and styles to increase the chances of finding the ideal TV cabinet that suits your home requirements and décor easily. People love watching TV so much that there’s a whole term coined for that posture – ‘Couch potato’! Well if you’re seated on a couch, you’re sure going to want the TV mounted in a place that truly lets you enjoy you most favourite pass-time. Wall mounting the TV is an option that several home-owners in Melbourne are opting for, mainly because the interiors of homes are changing and a wall mount TV fits in perfectly with those aesthetics. The main benefit of using a TV wall mount frame is that it makes the room look less cluttered and also gives you more floor space to make use of, which is always an added advantage. Even if you’re a home-owner blessed with a spacious house you’d still choose to have the TV wall mounted because of the modern classy look it gives the house. 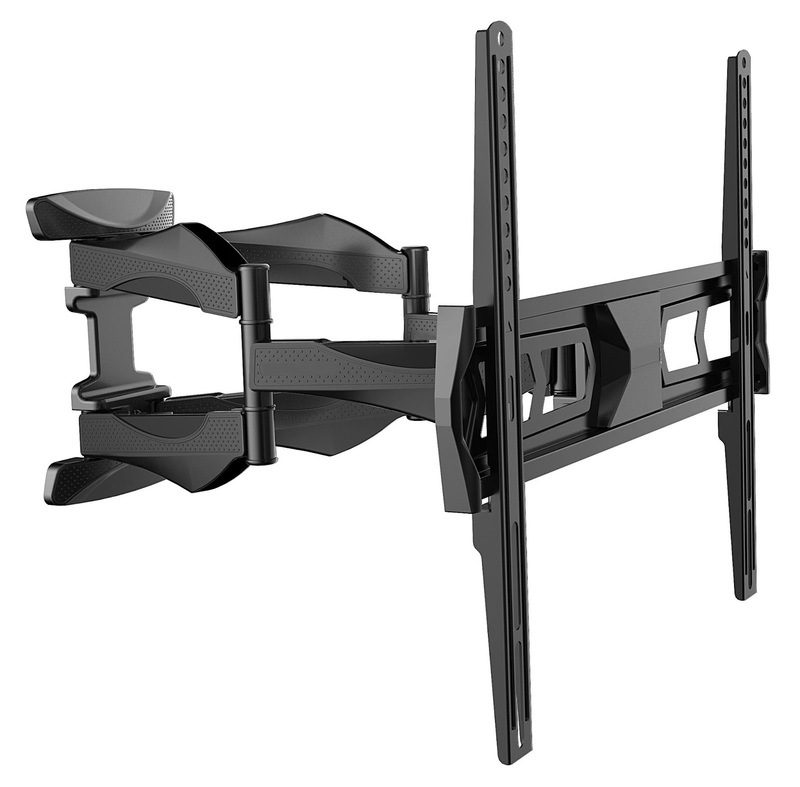 Starting with the basics, there are three types of wall mount frame options for your TV, which you can choose from depending on your requirement and how much you are willing to spend. They are also further divided on the basis of materials used. The important thing to keep in mind is that you need something that is sturdy, durable and that can take the weight of your television. 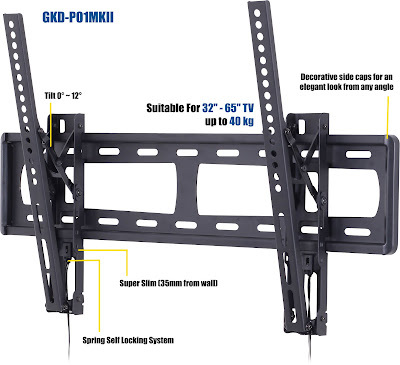 The first type is a low-profile television wall mountable frame, which is economical and also the choice of most. Although economical, it has one drawback, which is that once fixed it cannot be adjusted to suit any new requirements. 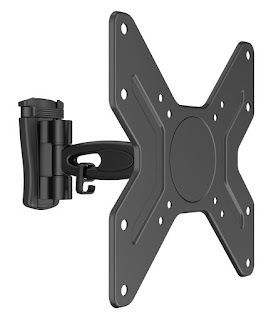 Second is the tilting wall mount, which is perfect for those who don’t have a fixed spot for watching television and like to try different seating spots in the room. The advantage of this frame is that you can tilt it up and down, depending on where you’re seated. Easy to install, this particular mount works well for televisions placed at a height. Finally, for those who like to keep moving and adjust their television to suit their comforts, there is the option of the ‘full-motion mount’. Now this is the dream of those who are avid watchers. It can be adjusted vertically, can be tilted in all the directions and can even be brought forward if need be, so that no matter which part of the room you watch television from, you enjoy a comfortable and premium experience that remains uncompromised. No matter which frame you use, remember to state your television brand and model so that you can verify whether the frame you have chosen can accommodate its size and weight. Ensure that you get a skilled professional to advice and install it for you so that they do it to perfection and so that it does not damage the wall or compromise on your safety. Gecko products offer a range of wall mount frames which allow you to install your gadget in your home the exact way you imagine it. With competitive pricing and the finest quality, you’re sure to find a wall mount frame that matches your requirement and also comfortably fits in your budget. The best part, their skilled technicians take care of installation and can advise you appropriately on the placement and positioning so as to avoid chances of any mishaps or accidents. Having worked with clientele with differing requirements we can ably match your needs together along with what you actually are asking for. 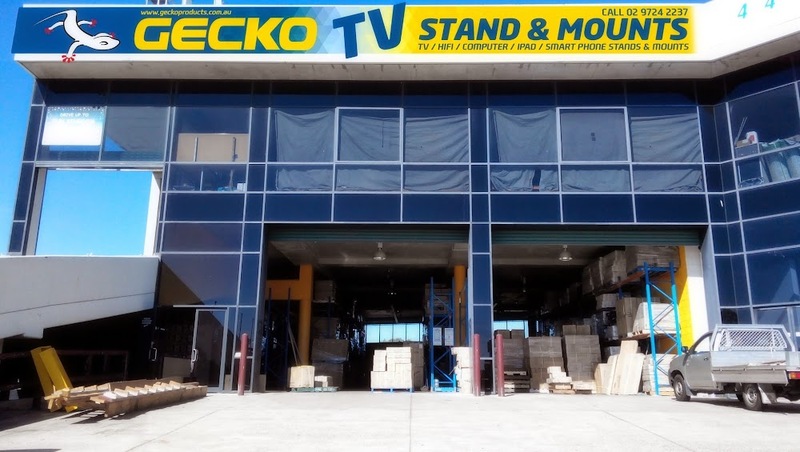 Gecko Products TV Stands and Mounts is a well-known TV accessories brand within Australia. With more than a decade experience in the field of audio/video accessories, we are confident you will enjoy our products. 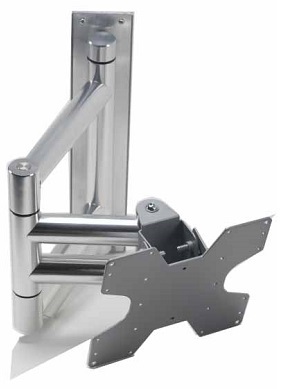 Gecko TV Stands and Mounts. Powered by Blogger.